Annies Remedy A-Z Medicinal Herb Chart contains information on hundreds of traditional medicinal herbs and plants, yet it is still only a tiny fraction of the natural plants used for healing worldwide. The focus is for the most part on Western herbs though there is a sampling on the most popular herbs from the herbal traditions of China and Ayurveda as well as other cultures. The herb profiles include photographs, descriptions, medicinal uses, folklore, and references from the leading herbalists of today and ancient times. You can browse alphabetically by common names, to find information on a popular herb like ginger, or find it listed by its botanical name, Zingiber officinale. Herbs are also grouped by their properties and actions. For example you will find herbs that are Adaptogens used in many herbal formulas for building the immune system and increasing the body's resistance to stress and adversity . Anti-inflammatory herbs help to calm flare ups in the digestive system as well as providing alternative remedies for arthritis. Antibacterial herbs help the body ward off cold germs and other infections of the airways while expectorants help to calm coughs. The practical and common uses of herbs, as well as recipes and instructions on how to use them can be found in the herbal remedies section. The wise woman's knowledge of plants is of a practical nature, based on skill, observation, and recipes that are passed down from generation to generation. She was the family doctor, herbalist, candle maker, chef, and seamstress all rolled into one. 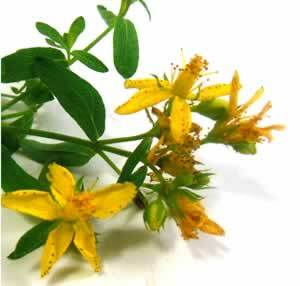 This collection of herbal remedies grew out of a personal quest for self healing with herbal based alternative medicine. I hope you will find something here that helps you also, whatever your interest in natural, alternative medicine may be. Two of of the most popular uses for herbs according to our website visitors are: Natural strategies for healthy weight loss , and finding new ways to preserve and improve our ability to focus and combat memory loss . One of the most amazing things you will learn as you start to bring herbs and plants into use your daily life is how versatile they can be. We hope to provide you a good starting place in your search for health and well being. Dandelion is one of the most familiar spring cleansing herbs, a folk tradition that is deemed by many to be outdated. Yet when we take a closer look at the humble dandelion the scientific basis that validated this custom becomes clear. 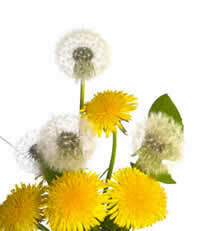 Like other spring herbs such as nettles, chickweed and salad burnet, dandelion is rich in vitamins and minerals. Spring Allergy season is here and the pollen counts are higher than normal after the heavy winter snows. Herbs can be used to help prevent an spring allergy attack and gently support the body's inflammatory response. Itchy, water eyes are soothed by using herbal eye rinses that reduce inflammation. 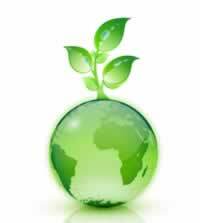 On April 22 Earth Day is observed in 175 countries, and coordinated by the nonprofit Earth Day Network. Learn how you can do your part to make your home an Eco-Friendly Botanical Green Home. Dandelion has a tonic effect on the liver and digestive system. It is gentle laxative and a natural diuretic that is rich in natural potassium, which enriches the body's supply. (Mabey, Richard, 52)This detoxifying, diuretic action also earns dandelion a place in many herbal weight loss formulations. Stinging nettle is an almost ideal herb for those with all types of arthritis, rheumatoid arthritis, and gout. The anti-inflammatory substances combined with the rich concentration of the minerals boron, calcium and silicon ease the pain while helping to build strong bones. The tasty green stalks are one of the most nutritious of the early green vegetables in the spring garden. Like tomatoes, they are high in lycopene, a powerful antioxidant.